I have always been a fan of minimal shapes and straight & clean lines. I find them non-fussy, to-the-point and very classy. Just what I look for in clothes and accessories. 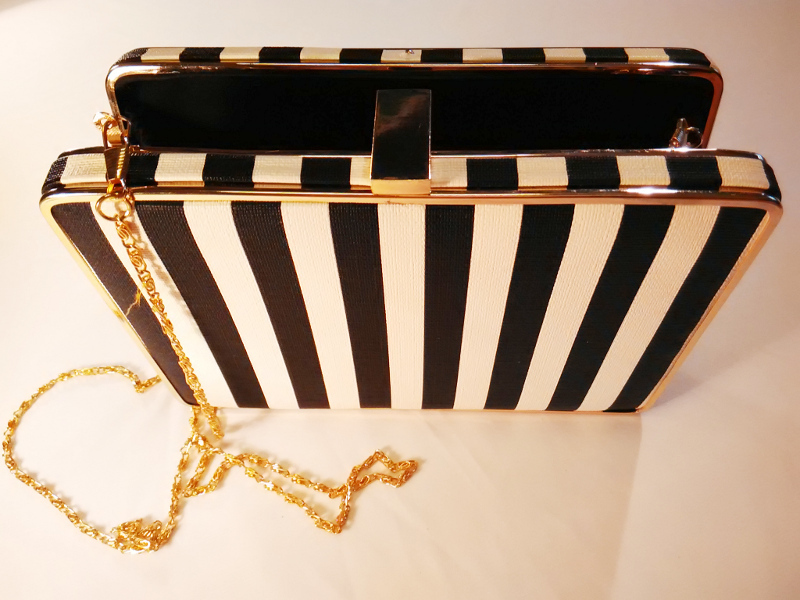 That is the reason why I really like this Miss Bennett London box clutch. 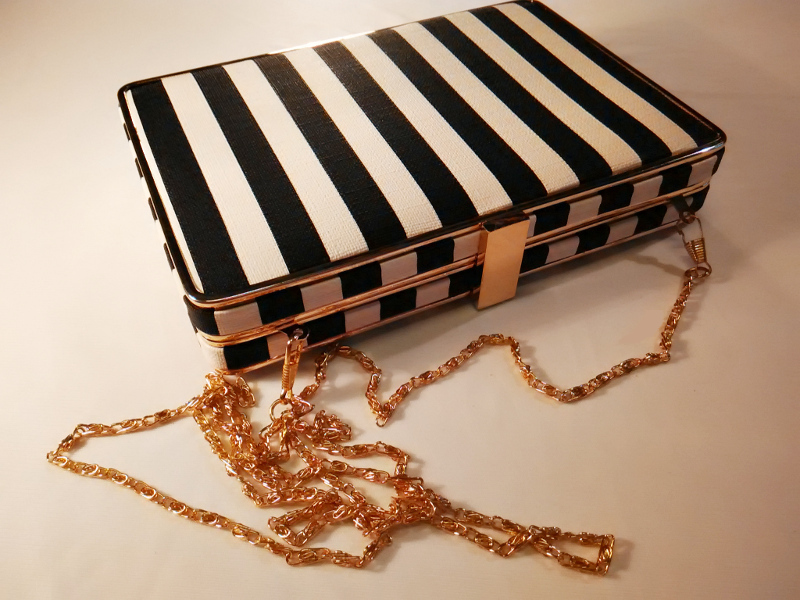 The black and white stripes highlighted with gold edges and a gold chain sling can add just the right amount of bling and glamour to your outfit. You can carry it to an evening date or a late night dinner with friends, it works equally well. I say, its quite versatile like that. 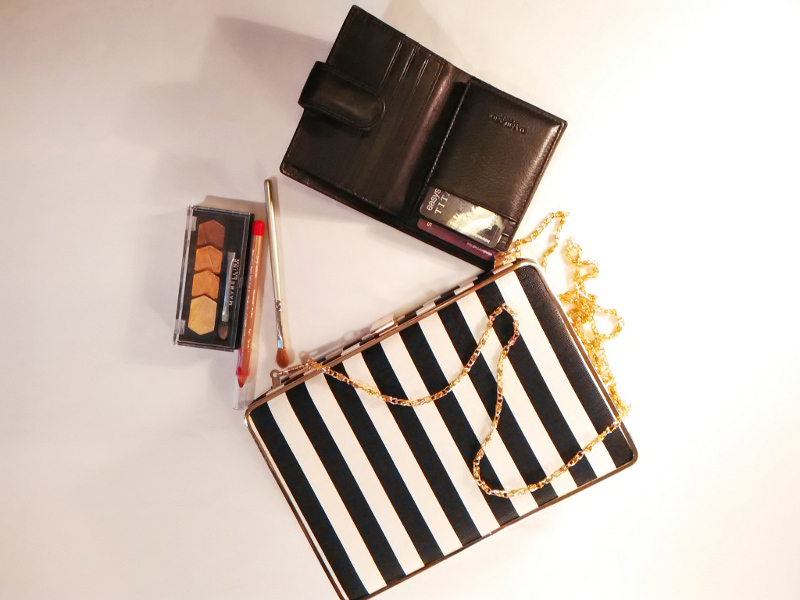 Sling it on your shoulder for a casual(ish) look or clutch it in your hands like a lady, I’m sure you will rock it both ways.